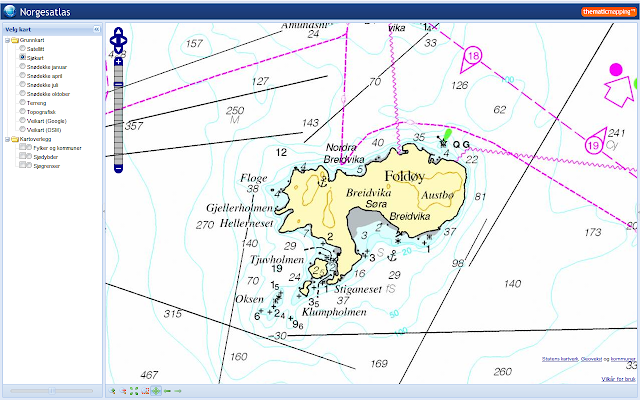 Below are a few examples depicting Foldøy island - 1 square km of beauty in southwest Norway. 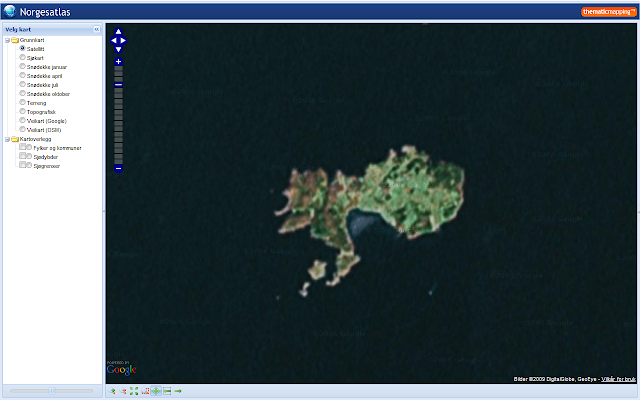 Google Satellite, highest resolution available. Google Streets, highest level of detail available. Topographic map and sea depths from NMA. Large scale topographic map from NMA. 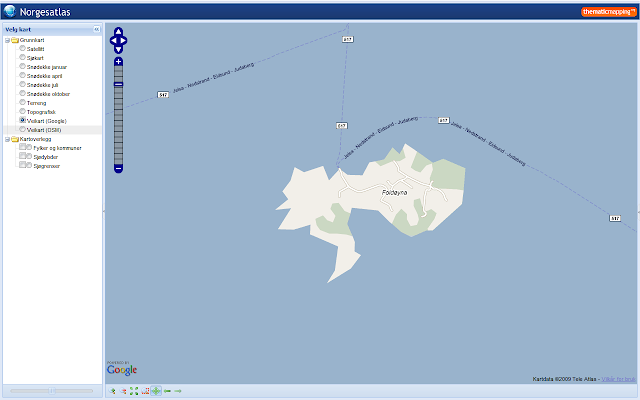 According to this blog post, the NMA map services are based on open source software: MapServer, PostGIS and GeoWebCache. 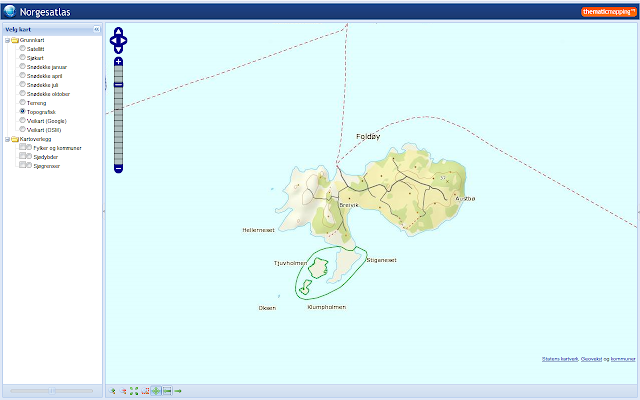 Norgesatlas.info is based on OpenLayers, ExtJS and GeoExt, - great tools to build web mapping applications. All your web applications have great functions. However why do you support to import OGC WMS and WFS, and GeoJSON? 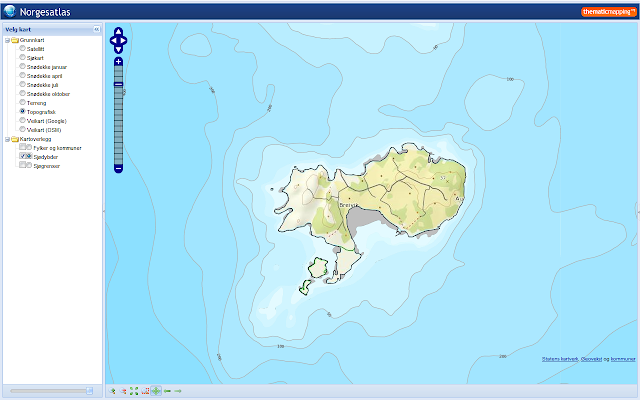 For WMS and GeoJSON's data is more light-weight than KML's. Although I have never seen usage example of WMS on Google Earth plug-in in stead of Google Earth client supporting this protocol. 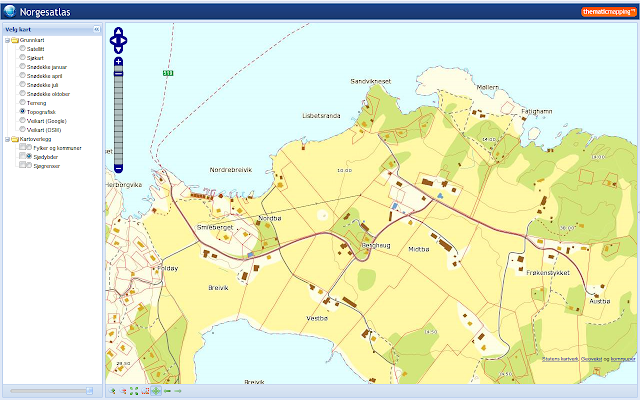 Please have a look at Kart i skolen which also includes a lot of thematic overlays for instance geology, energy resources, oil pipes and oil fields, fisheries etc. It's developed as a free educational resource. Kart i skolen (http://kartiskolen.no) looks nice!